Join us for an interactive Passover program for Jewish and Interfaith families with children ages 4 – 6. 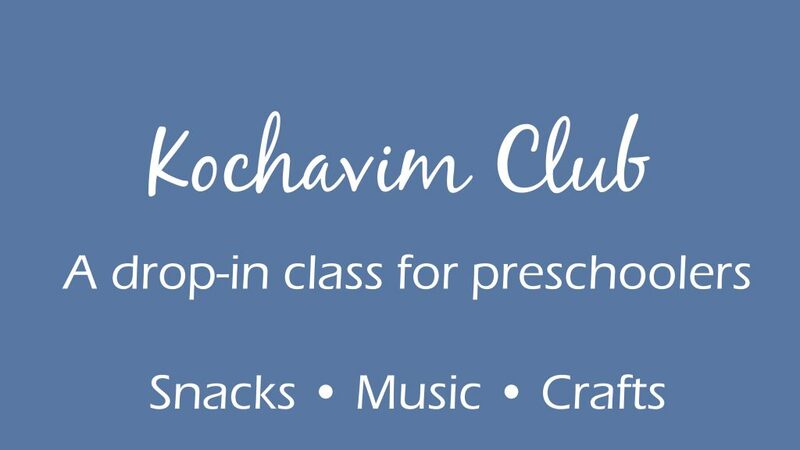 No prior knowledge of Judaism is required, just a desire to have fun, learn, and connect with other families in the community. This event is free but registration is required so that we have enough supplies and nosh! 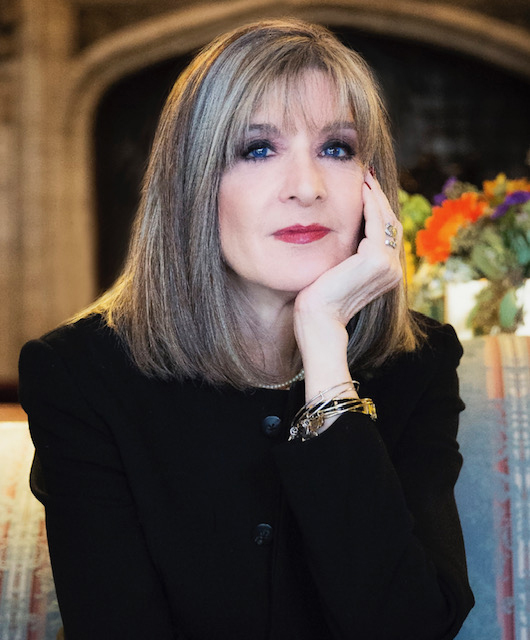 You will walk away from the event having heard the story “The Best 4 Questions”, learned to make a wonderful charoses recipe, learned why 4 is such a magic number at Passover time, and learned why encouraging our children to ask “Why?” and “How come?” and “When?” at the seder is crucial! 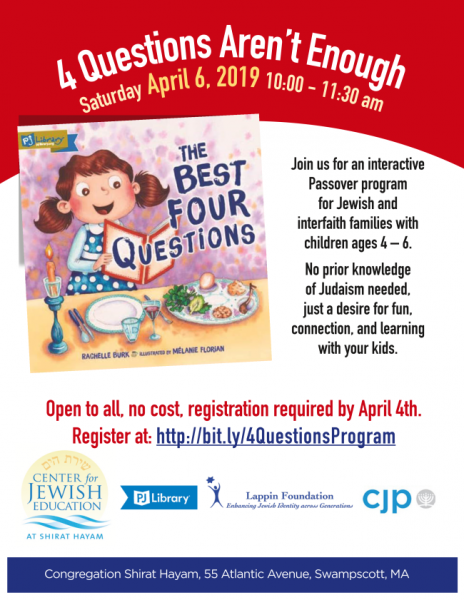 The event is based on the PJ Library book “The Best Four Questions” by Rachelle Burk, part of the March, 2019 PJ Library shipment.